ADMIN CAT! Time for a check-up! 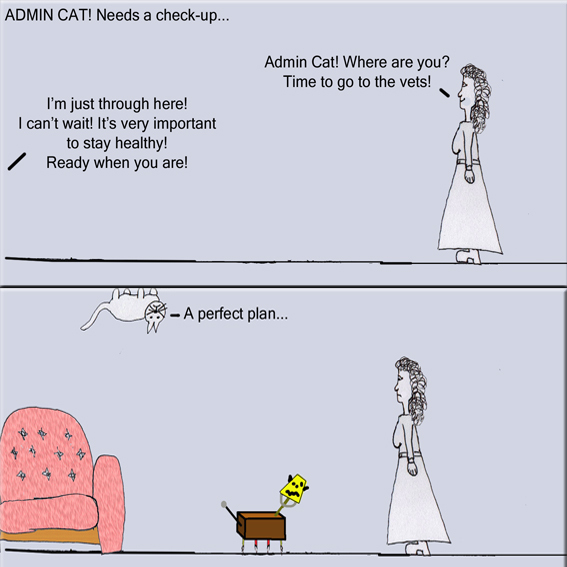 To see other Admin Cat cartoon’s, click on ‘ADMIN CAT!’ under the ‘categories’ menu on the right-hand side of the page! Feel free to share this, but please post the URL rather than just copying the image. Thanks! Not a cat fan man? And by that, I mean, not a fan of cats – not a man made out of fans shaped like cats. Time for a check up Admin Cat! You can never escape, your fate!